On a bitterly cold winter’s night, Liverpool is left stunned by a brutal murder in the grounds of the city’s Anglican Cathedral. A killer is on the loose, driven by a chilling rage. Put on the case, DS Nathan Cody is quickly stumped. Wherever he digs, the victim seems to be almost angelic – no-one has a bad word to say, let alone a motive for such a violent murder. And Cody has other things on his mind too. The ghosts of his past are coming ever closer, and – still bearing the physical and mental scars – it’s all he can do to hold onto his sanity. 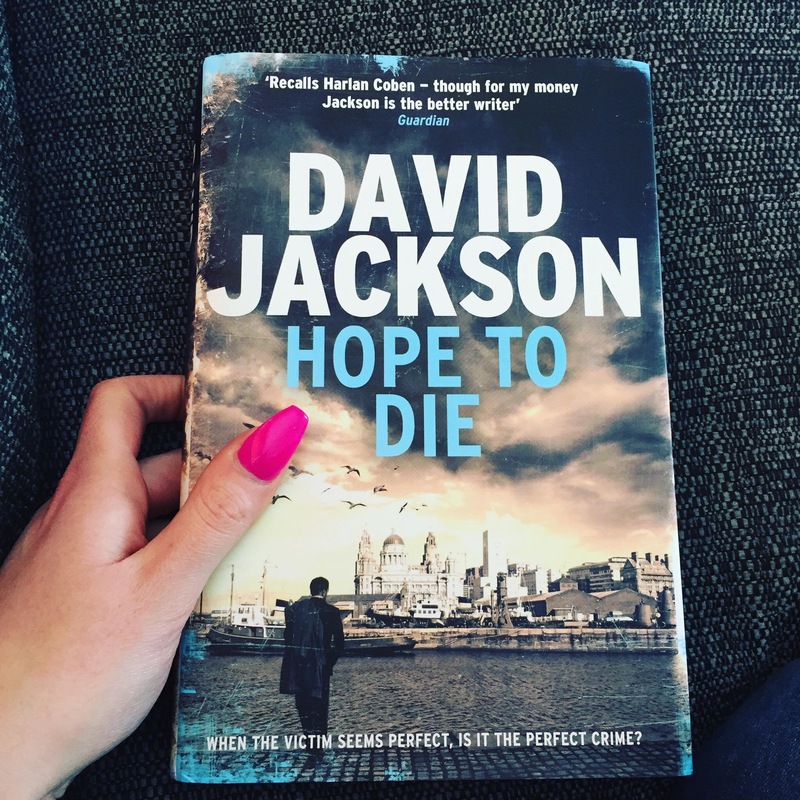 I LOVED A Tapping At My Door, so I was beyond excited to be able to read and review Hope To Die as I’ve been waiting for it since I closed the last page of ATAMD to be honest! Hope To Die is a cracking addition to the series. We’re back with DS Nathan Cody, who is such a great character, and in this one he is tasked with investigating a brutal murder where there appears to be no motive. Alongside this, Nathan is battling his own demons. If you’ve not read the first book, I won’t spoil it by saying any more. I will say that I loved the development of his character in Hope To Die. It’s one of my favourite things about the book. I find it difficult trying to say how much I enjoy David Jackson’s books because I can never do them justice. Packed with a great cast of characters, a tense and gripping plot, Hope To Die was an excellent second instalment in the DS Nathan Cody series.